As remote patient management (RPM) continues to evolve to better represent the future of healthcare delivery in the United States, an increasing number of providers are choosing to implement telehealth services. Indeed, it seems that new RPM service providers now appear on a near-weekly basis, often fueled by RPM’s proven ability to cut costs while maximizing the quality of care. Yet, a wide gulf still separates companies that have newly embraced RPM and those that have served as true pioneers in telehealth. Care Innovations® continues to exemplify the latter category, leading by example — i.e., delivering truly innovative RPM services founded on technology that’s both long-established and constantly evolving. To illustrate this, Health Innovation Media’s Fred Goldstein recently spoke to Care Innovations Director of Strategic Solutions Enrique Estrada on the new directions that RPM services have taken in recent years, including branded platform-as-a-service offerings and a fruitful integration into population health management. A summary of their conversation follows; you can also listen to the original broadcast here. When an RPM provider possesses an innate, expert-level understanding of telehealth technology and its applications, that partner can move beyond technology — its possibilities, its limitations — and use it for what it truly is: an admittedly essential tool in a larger toolbox of care innovations. As Enrique points out, this is a primary advantage of partnering with a long-standing RPM provider like Care Innovations. When a technological foundation is comprehensive and well established, the path is clear to focus on ways to leverage that technology to meet larger care delivery goals. “We started off focusing on the technology, and we realized — it's not about the technology,” Enrique says. “What we've done over the last few years is taken our technology and evolved it — remote patient monitoring with sensors, different peripherals — and we've wrapped a lot of different types of services around it, like recruiting, enrollment, logistics, and behavioral coaching. 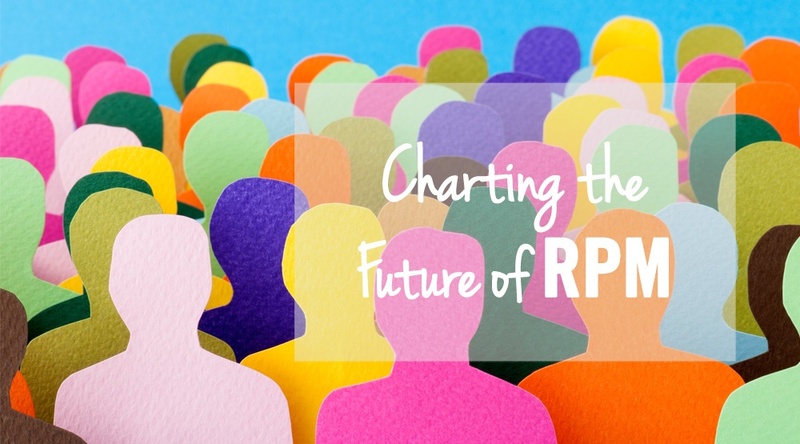 One of those innovations is one that’s now a major focal point for the larger healthcare industry: Population health management has become increasingly connected to RPM, as Enrique points out. This points to a need to “stratify” patient populations “and understand which patients are ready to start making those changes,” as well as “trying to focus on very specific disease management plans such as diabetes, COPD, obesity, etc,” he adds. This all leads to the RPM service only true industry innovators and pioneers can offer: Platform-as-a-service (PaaS), or the integration of the “Internet of things” (IoT) model into remote patient management. It stands to reason that a service provider with the resources and expertise to expertly leverage RPM to implement value-based care — from population health management to innovative technological solutions — also has the experience and know-how to shepherd other companies through the process of making their own propriety telehealth service offerings as effective as possible. “We're seeing a lot of [clients] that have built applications, but haven't been able to accelerate and create a go-to-market plan,” Enrique explains. “So the backend of our offering, our platform-as-a-service, includes all those services — we not only do the technology and the cloud, but we look at … the dependencies you really need,” including regulatory concerns and everything else along that perspective. “It's got to be very well controlled, it's got to be very well documented,” Enrique explains. "And what we're hearing from the customers is that, [PaaS] gets them to the market much faster than trying to figure out it out for themselves." “Obviously, everyone's focused on value-based care, looking at the readmission rates, and avoiding the 30-, 60-, 90- day windows — we're really helping our customers focus on that,” Enrique says. But, he adds, “we also have other customers that have completely different business models that we've been able to look at and go, yeah, we can do something with that. Even if they're still fee-for-service, there've been some great examples” — here, Enrique points to the success of the Mississippi Diabetes Telehealth Network, an RPM system based on Care Innovations technology successfully implemented by the University of Mississippi Medical Center (UMMC) to achieve both cost savings and patient health improvements in rural, underserved areas. “We're really excited about taking this platform and being able to focus not just on telehealth, but starting to extend it and broaden our offering," he concludes. Learn more about how RPM and telehealth solutions from Care Innovations can help your organization take care delivery to the next level: Contact us for a free consultation today!